DAVOS is Automature's webservices interface package, that allows external automation engines to leverage the unique capabilities of Zermatt's archival, planning and analysis software. 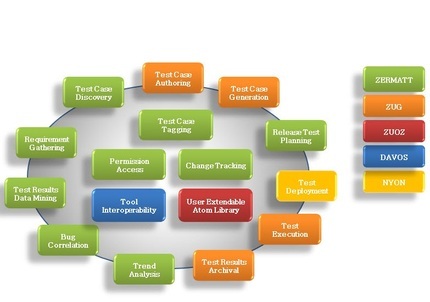 Using a session-oriented protocol, DAVOS provides any automation tool to query and store test plans, test results and other relevant information. This is especially useful for organizations who have invested in creating custom test scripts, as it provides the ability to quickly integrate into a test management solution. Please visit Downloads to download the latest release of Davos.